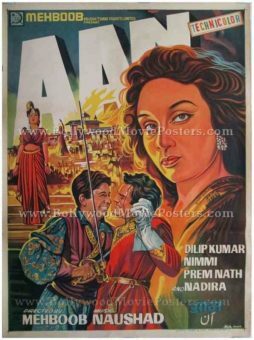 Old Bollywood movie poster of the Hindi film, Aurat (1953) for sale. 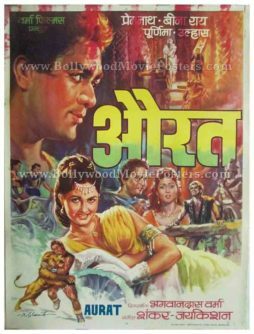 This is an actual surviving original vintage Bollywood movie poster of the 1953 Hindi film that featured real life couple Premnath and Bina Rai in lead roles. 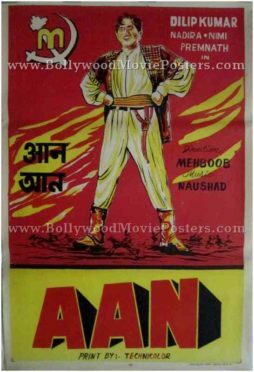 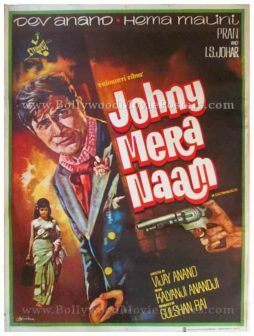 Printed and circulated during the original first release run of the film (early 1950s), this old hand painted Bollywood movie poster was originally designed for publicity of the film but never ended up being used. 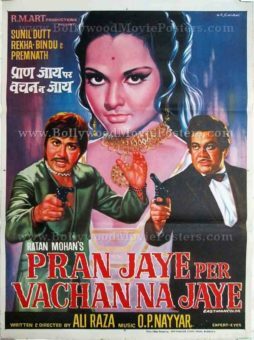 This old Bollywood movie poster was originally hand painted on canvas by one of the greatest Bollywood poster painters of his time, B. Vishwanath. 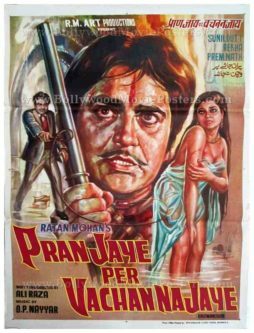 Typical of B. Vishwanath’s dramatic compositions, this hand painted Bollywood poster features several superbly hand drawn characters. 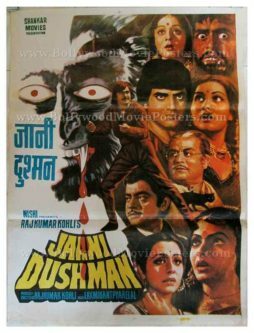 Large portraits of the lead pair Premnath and Bina Rai are seen prominently on the poster. 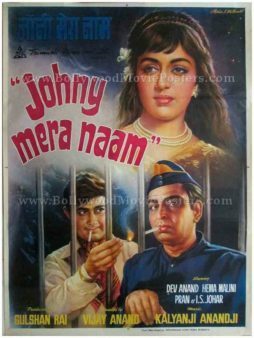 The iconic lion wrestling scene is painted at the bottom. 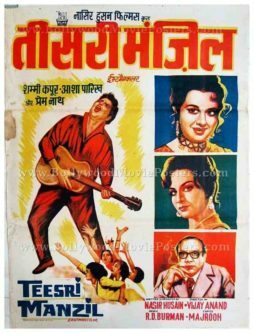 The printed signature of master Bollywood poster painter B. Vishwanath is seen on the bottom left corner of the poster. 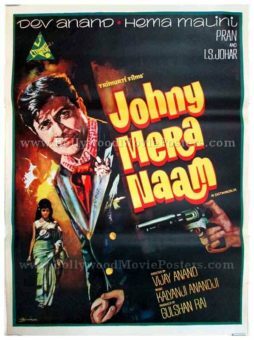 This vintage Bollywood poster is in absolute mint condition. 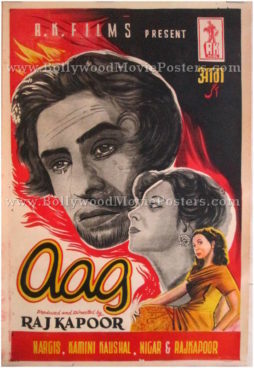 The red streaks that appear on the top of the poster are due to a printing error and do not make a significant difference to the display quality of the poster from a viewing distance.